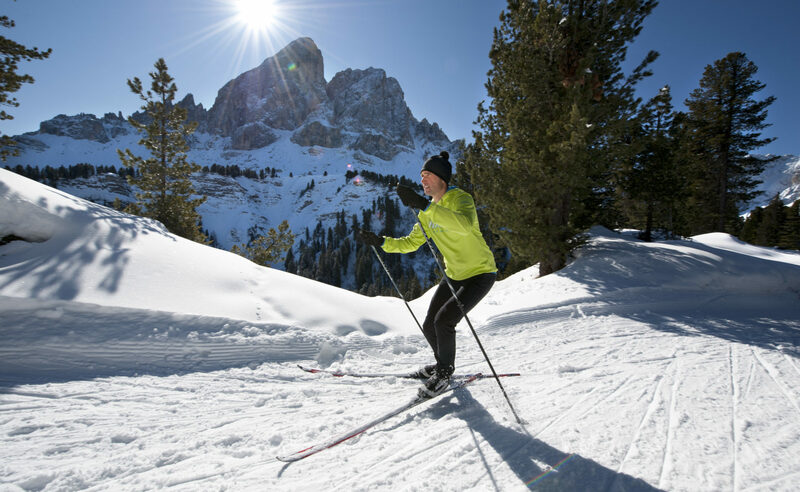 Away from the ski slope there are countless opportunities for active recreation. Those who look to experience nature in her pure form find it in cross-country skiing. Kiens and the surrounding small towns Pfalzen, Terenten and Reischach offer beautiful options. 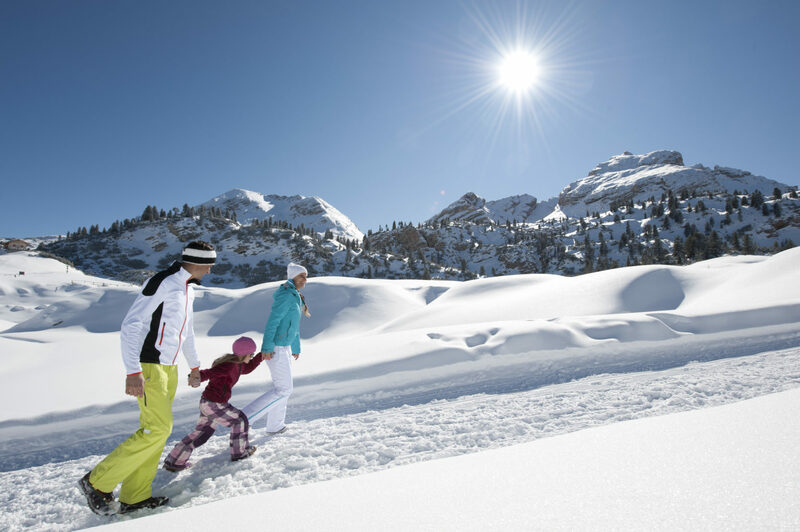 Don’t miss out on the Panorama cross-country ski run on the Rodenecker-Lüsner mountain pasture. The 20km long, light to medium difficulty run starts close to the parking lot Zumis in Rodeneck, has hardly any climbs and passes by several parlors inviting to take breaks with local cuisine. The snow-safe altitude run by Würzjoch at 2000 m challenges the body and blows the mind. The Peitlerkofel seems to be so close you can touch it. The tourism association organize weekly trips to the most beautiful cross-country run areas. 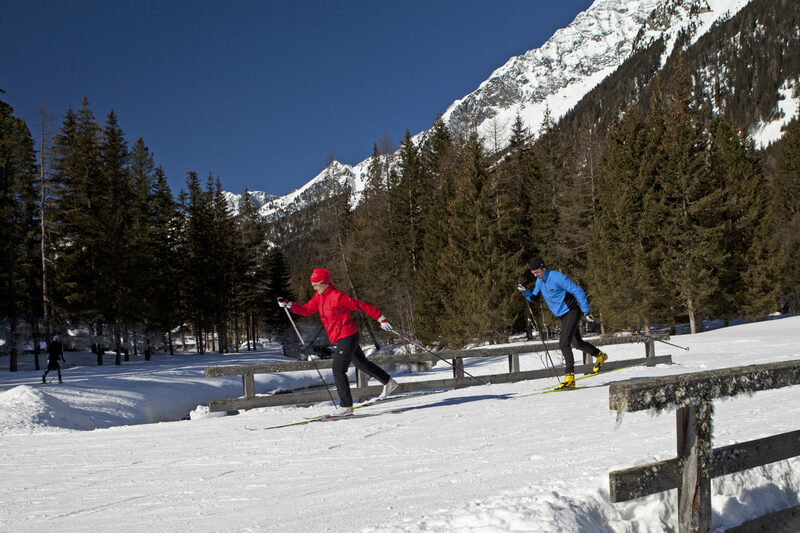 The Cross-country Biathlon Center Antholz presents itself to all cross-country fans in the winter months with glistening snow, freshly prepared runs and mountains covered in snow. Get ready for the runs in all degrees of difficulty and look for forward to the grand nature experience. The Antholzer Valley has a total of 60 km cross-country runs, which, even if the weather doesn’t play along, can be treated with artificial snow. Many businesses offer cross-country run equipment rental and the cross-country run schools in the valley offer classes and consultation. A portion of fresh winter air strengthens our body and and enhances our immunity. 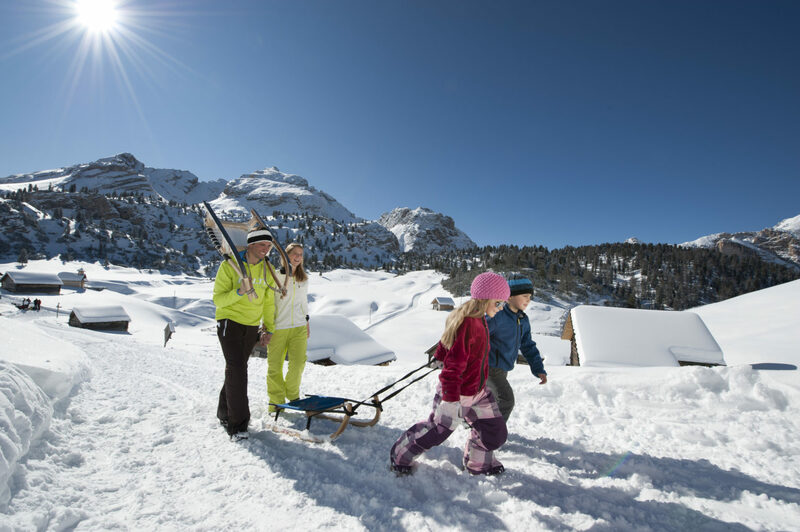 In Kiens and its surroundings there are many cleared hiking paths that invite you to winter hiking or simply nice walks. On on of the cleared forest trails the magically beautiful mountain landscape that surrounds Kiens can be explored during the winter months, and you can enjoy the relaxing quiet. 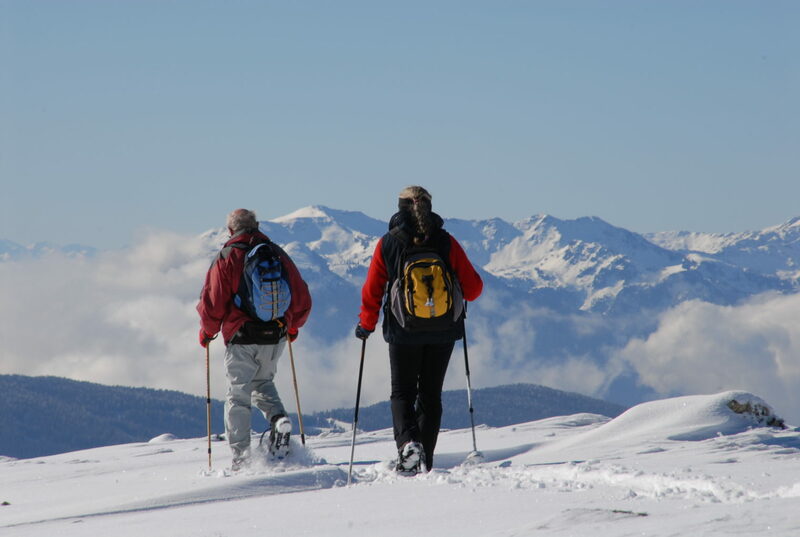 Snow shoe hiking is the perfect sports alternative to a day spent on the slope. Away from the many winter athletes you can find absolute relaxation and worthwhile sceneries while stomping in the snow. 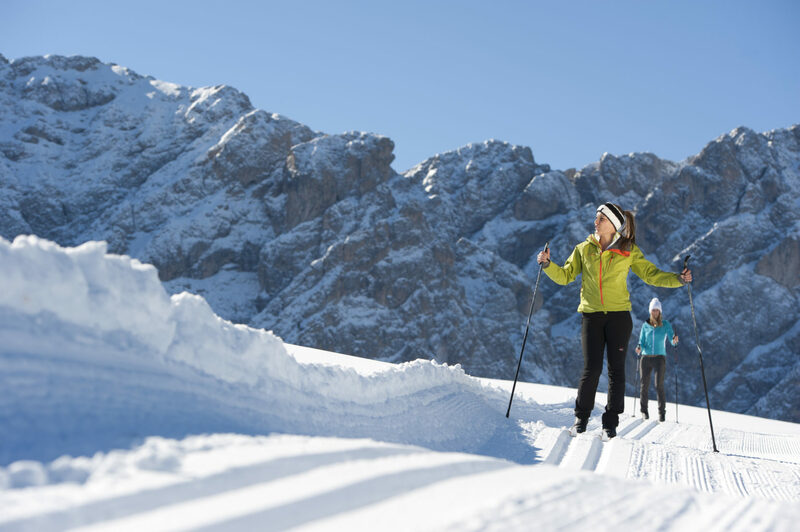 Snow shoe hikers will love the Kronplatz holiday region because there 3 natural parks waiting with their dreamy winter landscape. The selection of tours is big around here, from cozy walks to challenging routes. 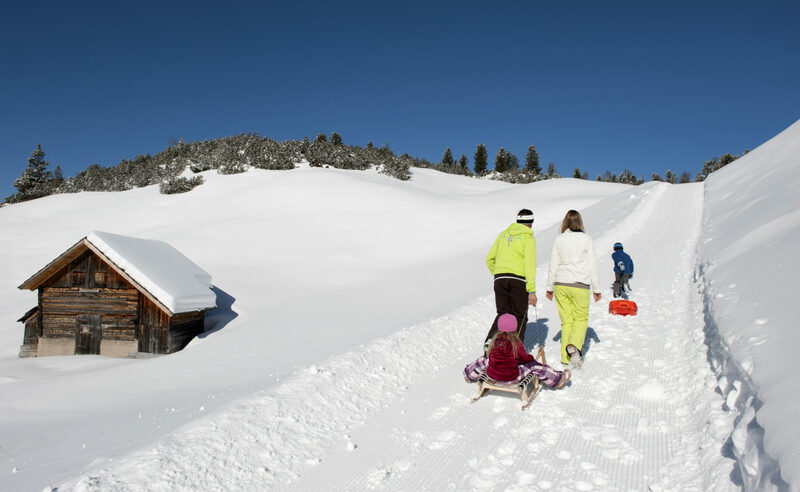 Plenty of toboggan runs guarantee lots of fun in Puster Valley, away from the skiing slopes. Above Kiens there is a nice toboggan run by the Moarhof mountain pasture. 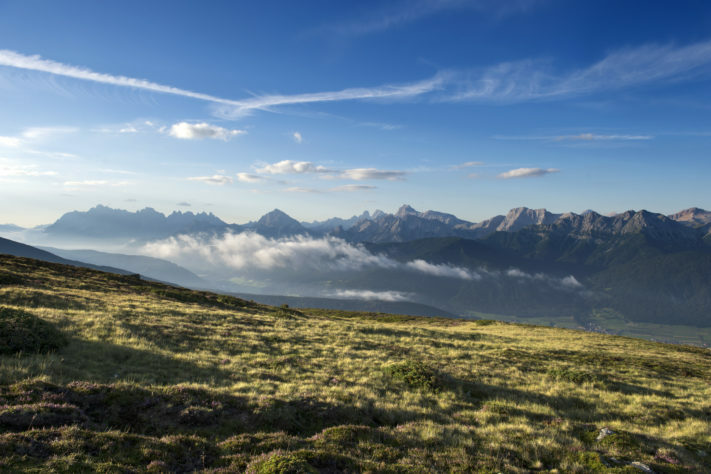 This is a popular recreational destination because the trip doesn’t take very long, and the hikers are being rewarded with a beautiful panorama. 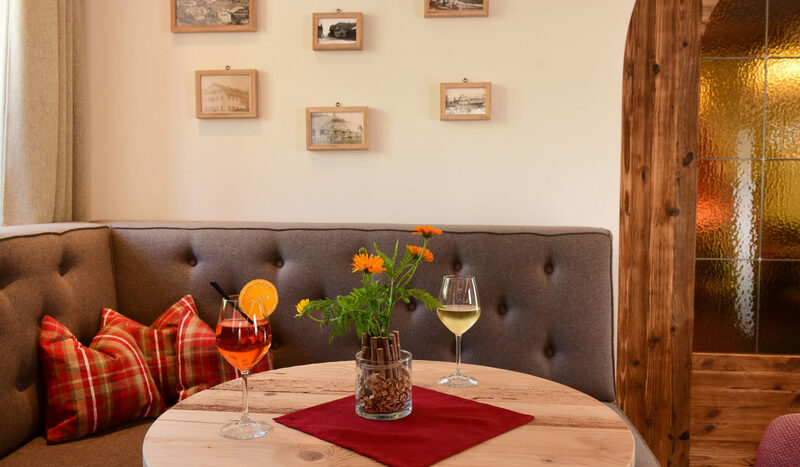 In sunny weather you can look over the entire Puster valley up to the Dolomites of Prags and Sexten. Another popular destination for toboggan fans and winter hikers leads them to the mountain pasture of Perting, in the neighboring community of Terenten. 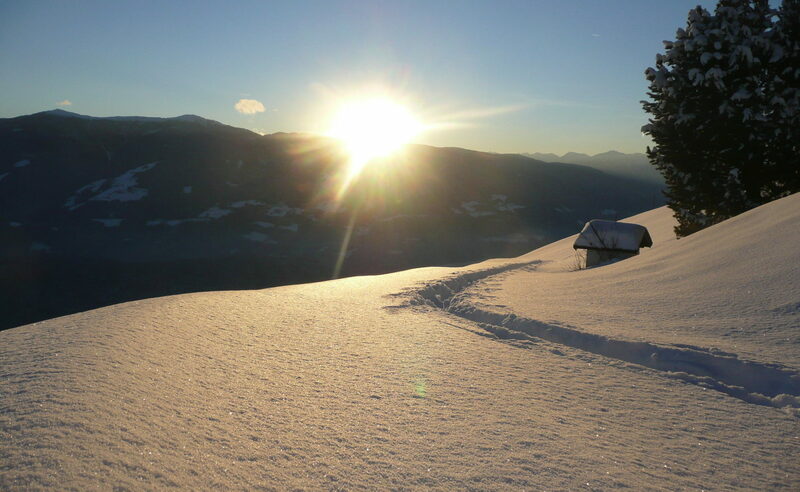 Also a beautiful, and among locals very popular skiing route or snow shoe tour is to the Amjoch (Terner Jöchl), passing the mountain pasture. 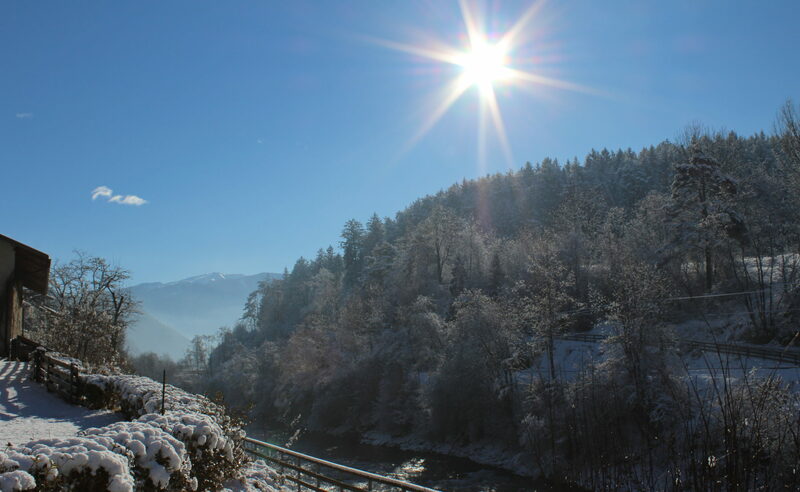 Those who love South Tyrol will love Christmas in South Tyrol even more. 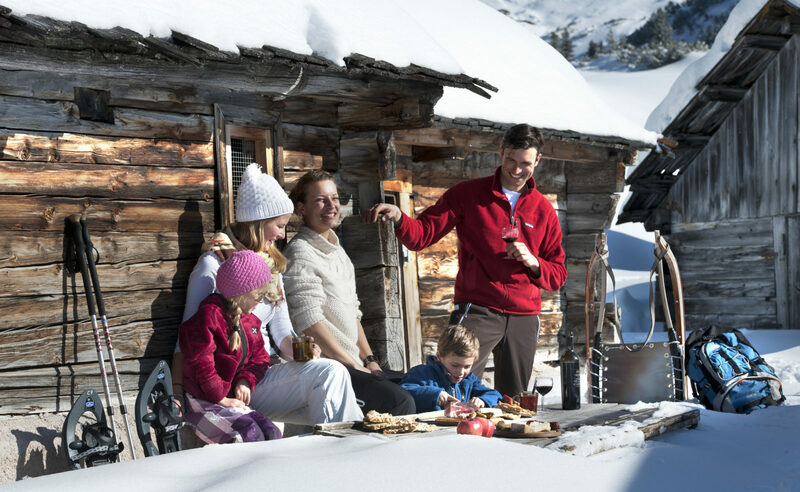 After all, everything you need for an unforgettable, full of reflections Christmas celebration can be found here: Old Christmas traditions, fun Christkindl markets, culinary Christmas delicacies and the mountains covered in snow! 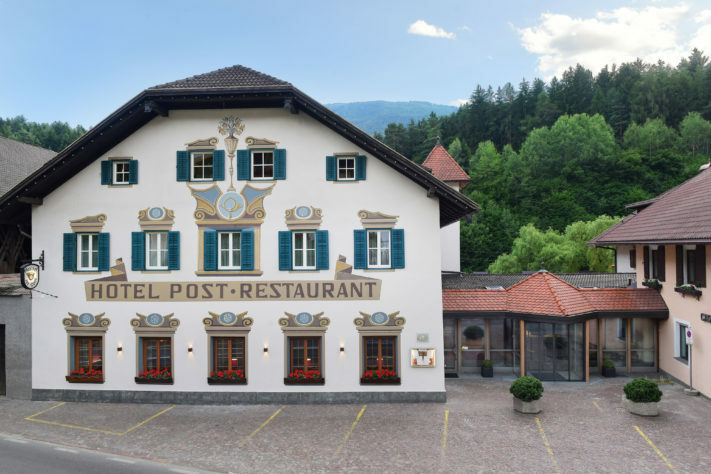 In Bruneck, the main town of Puster Valley during Christmas the city is enchanted, which can be especially experienced at the Christmas Market. 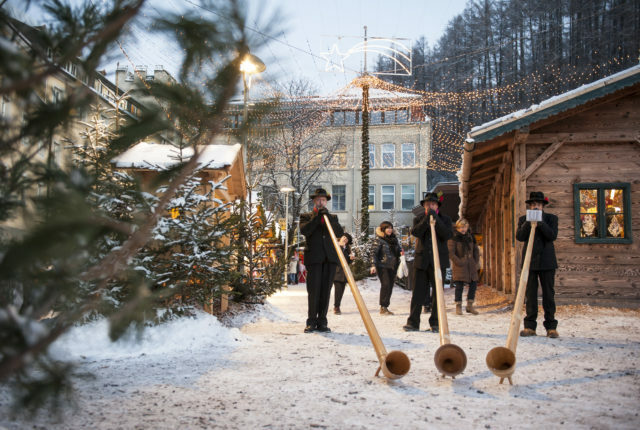 It smells like cinnamon and clove, Gluhwein and cookies, and the more than 35 booths sell heavenly gift ideas, precious South Tyrolean craftsmanship products and hand-made Christmas decorations.